Level Seven is the newest and the first rooftop double-deck lounge in the city of joy, in the Topsia area, diagonally opposite to the Porsche showroom. The artsy lounge is divided into two levels but I absolutely loved the topmost rooftop area. Coming to the food, try out the Tuscana pizza, Tandoori Tikka Trilogy, chicken sriracha, cheesy mushroom kulcha, seasonal sea bass and goat cheese walnut tikki. The cocktails are also nice but I only liked the whiskey-based drink called Pisco Sour! Go there during the sunset or an hour before sunset and opt for the rooftop seats!! The sight of the busy MA flyover is just amazing! The open air rooftop ambiance is just awesome. If it’s raining or too hot, you can sit in the covered restaurant/lounge area, a level below with Game of Thrones inspired chairs! The rooftop itself has got two levels. 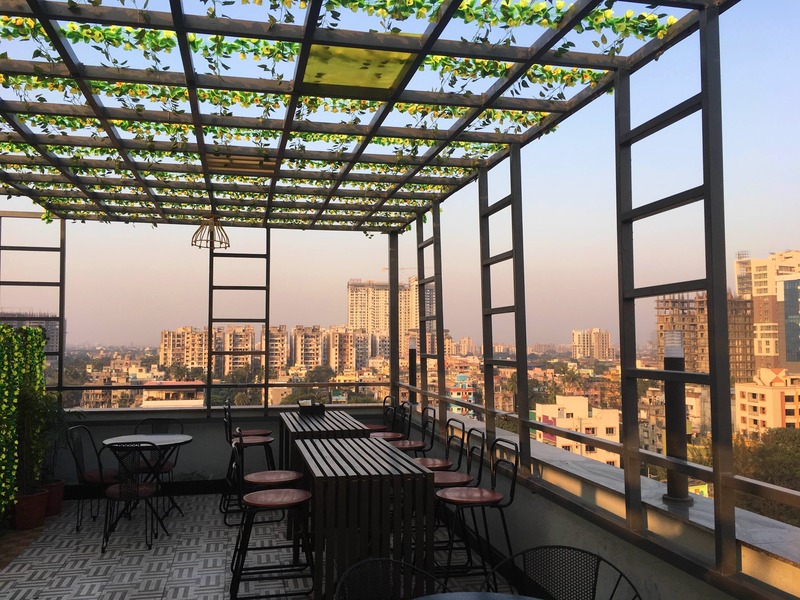 There are a few steps on the rooftop lounge area which takes you to another smaller rooftop level that you can book for a private gathering, perhaps. The place is extremely romantic and picturesque!